Of the many inspiring events that occurred at Federal Hall, perhaps the most stirring of all is the enactment of the Bill of Rights. For most Americans, the Bill of Rights is the crown jewel of our democracy, a sacred document many cite like Scripture. For people in less free corners of the world, it is a beacon that draws them to immigrate or a shining example of possibility for their own nations. So, it may come as a surprise to learn that in 1789, passage of the Bill of Rights was anything but a foregone conclusion. Federalists who advocated for a strong central government in the first Congress believed the rights were self-evident, while anti-federalists, who had been the strongest proponents for a Bill of Rights, were by this time more intent on securing States’ rights. In 1789, passage of the Bill of Rights was anything but a foregone conclusion. 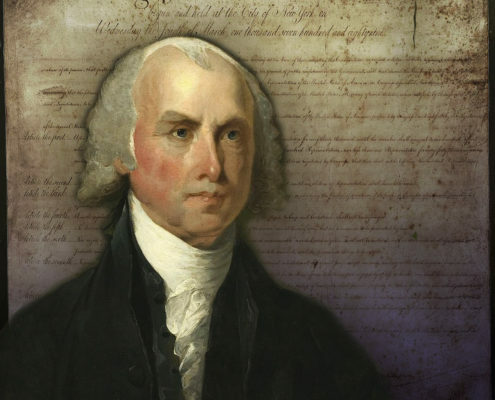 Only through an unwavering campaign by James Madison was the Bill of Rights finally passed. Interestingly, guaranteeing individual liberties was not even his chief concern. Rather, it was establishing the Constitution as a living document that could be amended. The Bill of Rights became law on December 15, 1791, with Virginia’s ratification of 10 amendments. Today, it is indelibly intertwined with our daily lives— addressing issues from privacy to religious liberty, marriage equality to due process. Here at Federal Hall, its historic birthplace, we look to honor this legacy by fostering opportunities for all Americans to actively engage with the exercise of their civil liberties.